you can't count them all! Not blizzards nor cancelled ferries nor delayed flights interrupted our wonderful ROOTS & GROOVES BC tour. In April Nico and I will play shows in Nanaimo, Parksville, Duncan and Victoria. See SHOWS for all ticket details, hope to see you along the road. We begin the month by celebrating our two year anniversary at the Dinghy Dock on Protection Island April 6 with a fundraiser for our sponsorship of a Syrian Family, if you'd like more info or can contribute to that project, email me at info@rickscott.ca! On April 18 join us at the Port Theatre (it's free but you need to call the Port box office to reserve a sear) when Nico will be honoured with the City of Nanaimo Emerging Leader Award. Congratulations, my dear friend! 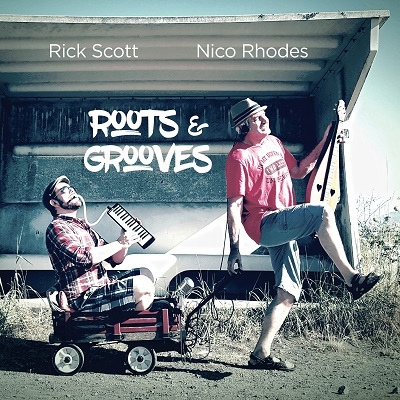 You can like ROOTS & GROOVES on Facebook https://www.facebook.com/RickandNico. You can buy the CD at Fascinating Rhythm in Nanimo, CD Baby or from this website! Congratulations Valley Hennell and Kari Burk for winning a 2016 Academics' Choice Award for 'Snapshot of a Soul Place in the land of special needs' which has already been honoured with 2016 Family Choice and National Parenting Products (NAPPA) Awards. This illustrated memoir by Kari Burk is based on the life of our 26 year old granddaughter Mielle, with over 40 original paintings and drawings http://www.snapshotofasoulplace.com. See the finale of 2014 Puppets For Peace concert at BC Government House with Rick and puppets performing YO MO and STAND BY ME at http://vimeo.com/10695582. We are excited to announce Rick and Puppets For Peace will return to Government House in September 2017.